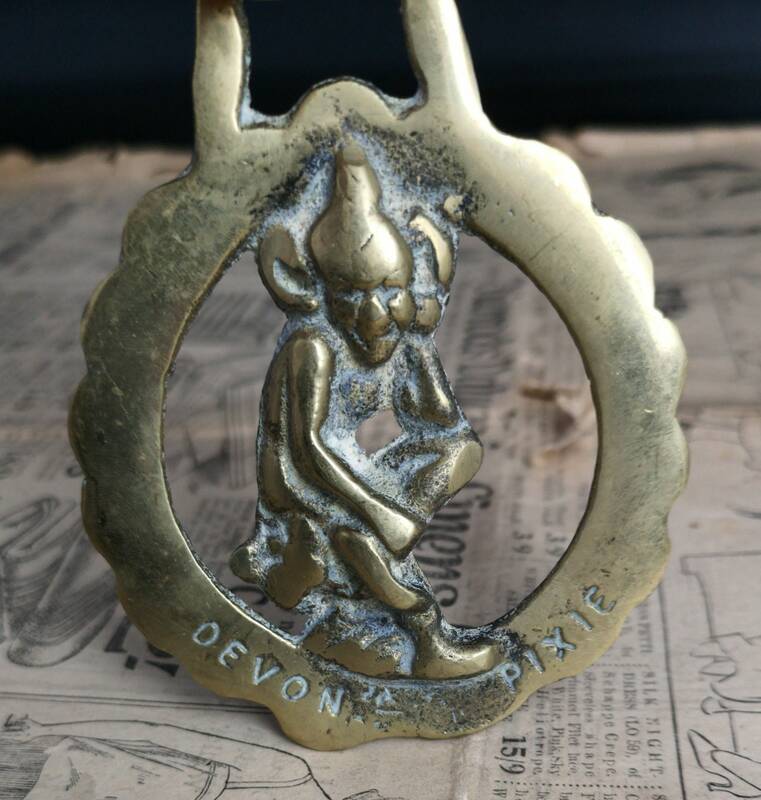 A lovely Edwardian solid horse brass depicting the famous Devonshire Pixie. Great for display and often hung as a fireside ornamental piece. 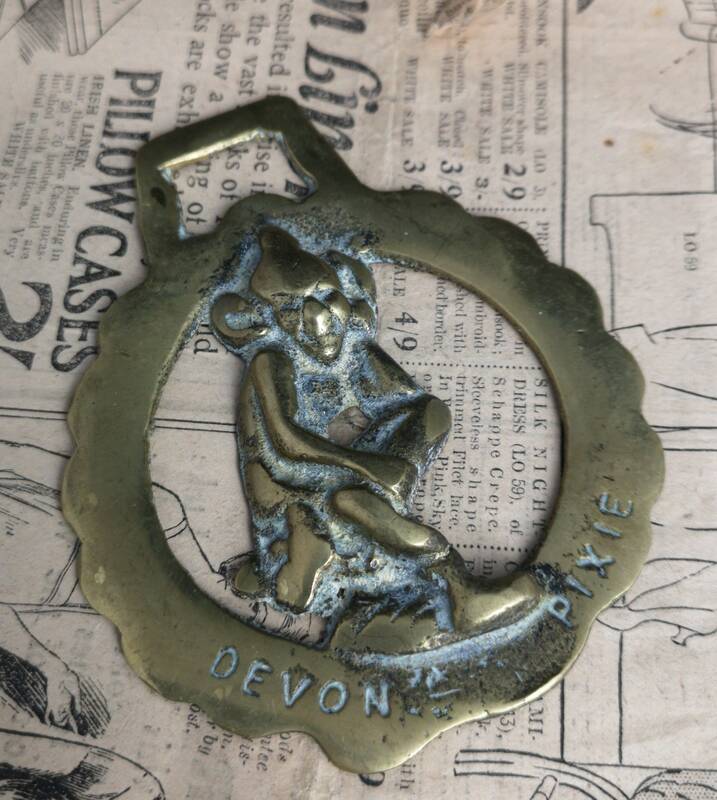 Horse brasses were originally used to decorate the leathers and tack of draught horses such as shires when pulling huge carts for trade and shows. 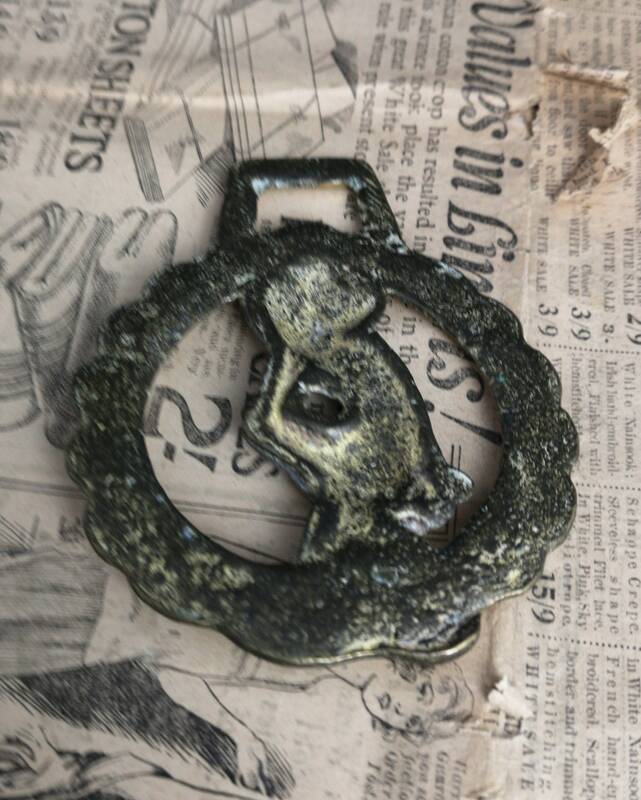 They often had symbolic meaning. 4" height and 3" width.